Here in New Orleans, we are always looking for a reason to celebrate, which is why we are always hosting and attending festivals! Synergy offers a full range of outdoor displays, structures and accessories from leading manufacturers so that your brand can stand out any event. 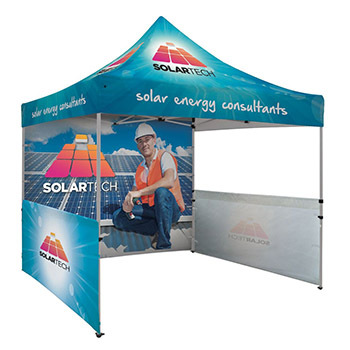 For example, flags, tents, outdoor table covers, outdoor banners, inflatables and event perimeter signage are some of your options for outdoor displays. Contact us to get started on your amazing outdoor experience! 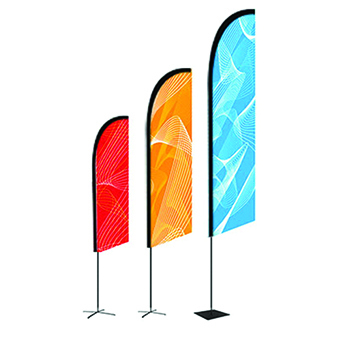 Whether you need a single-use product or lifetime-warrantied solution, branded flags and signs add visibility to your outdoor event. Wide selection of tents, canopies, domes and other outdoor structures with optional walls or fencing. 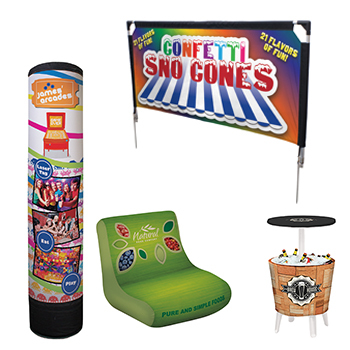 From inflatables and bars to outdoor banners, table covers, tent weights and folding chairs, we cover the details you may be looking for.